As the weather is getting nicer, I love to make a cold smoothie for a meal or snack. I love to pack as much nutrients as I can into one smoothie. I made this one one morning after a workout and it turned out great. I like to set out all of the ingredients together so I can throw everything in the food processor easily. Don't fear the spinach! You will not even be able to taste it and you are giving yourself a boost of iron, calcium and other vitamins and minerals. Blend all ingredients in a food processor or blender until very smooth. Serve immediately! This smoothie is packed with protein from the protein powder and cottage cheese. Fiber from the produce as well as vitamins and minerals. 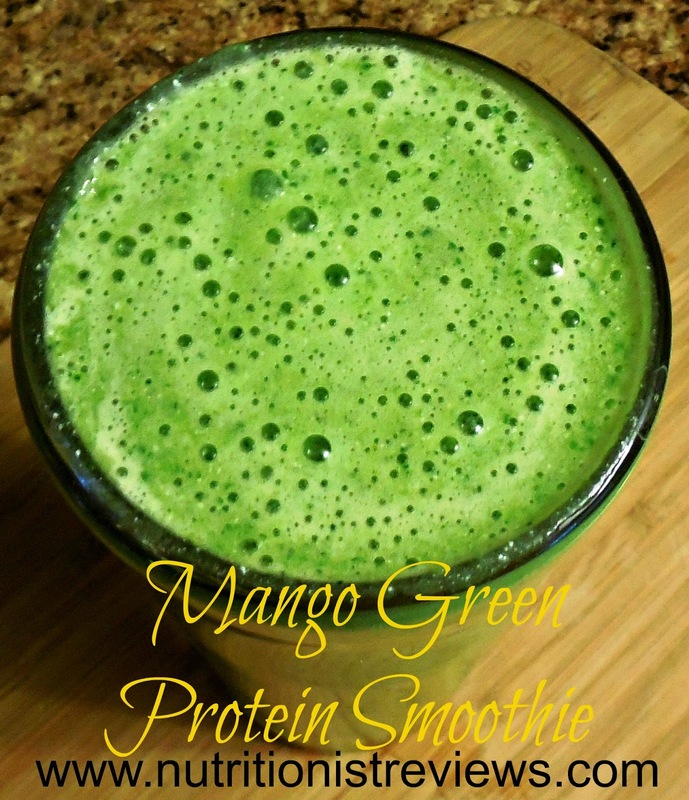 This smoothie kept me full until almost lunchtime! I love that you add sweet potato to your smoothies! I do that too, and spinach and lots of frozen berries. The cottage cheese is a GREAT idea that I've never thought to do. Love it. I wonder if the protein powder is ok'd for pregnancy? Chickchat- please check with your doctor about the protein powder. It should be fine but just doublecheck.